Vespa Ad: Nerd + Vespa = Hipster? SYM appears to be positioning itself in the American scooter market as the practical, capable choice. With technically excellent machines and proven reliability, SYM has long been the dark horse of the modern scooter scene. Today we have another of their promotional videos, this time for the RV200 EVO. 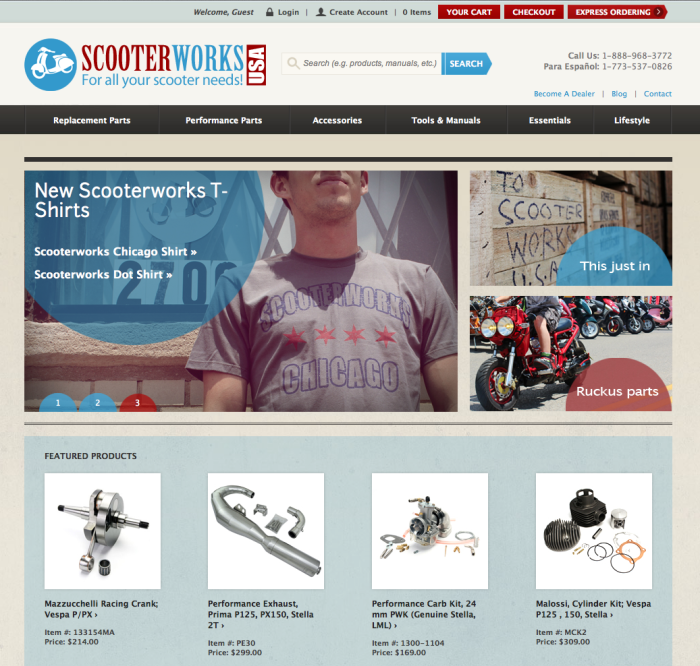 Scooterworks USA, one of the country’s oldest suppliers of parts and accessories, recently unveiled a completely revamped web site. The slimmed-down look — designed by Orbit Media Studios — has been a year in the making. While aesthetically spartan, the site puts a clear focus on and organization. Most people look at a scooter from a brand like SYM and just see the nameplate, never thinking of the multiple companies often involved in bringing it to our shores.